Here is my AAC-1 Hovercraft I made a while ago. 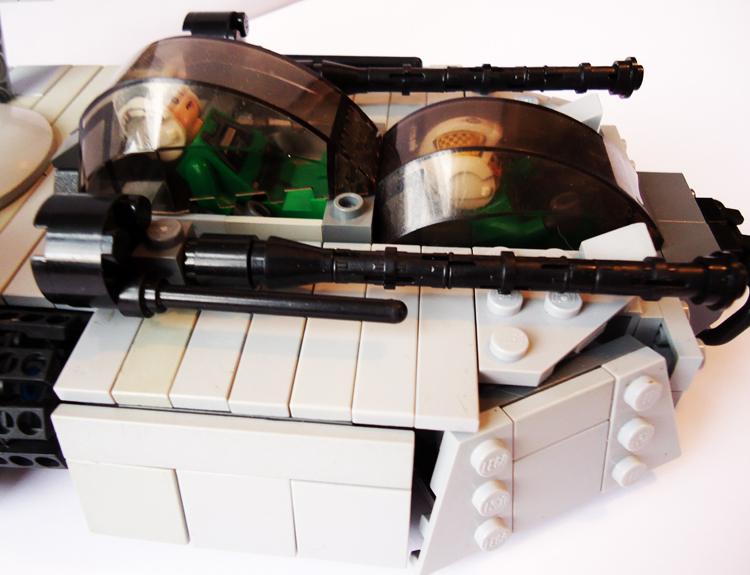 Its from Battlefront II and I built it in system scale. Thanks for looking, and I hope you enjoyed. Please C&C. There are several good things that can be said about this MOC. 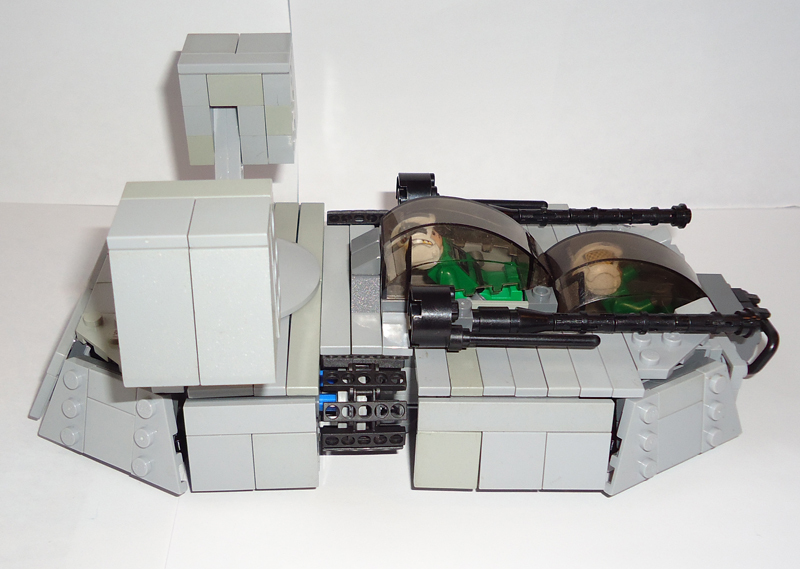 The boxy feel of the Battlefront II craft is definitely there, enhanced by the SNOT build, and the tiles add a finished look to the vehicle. 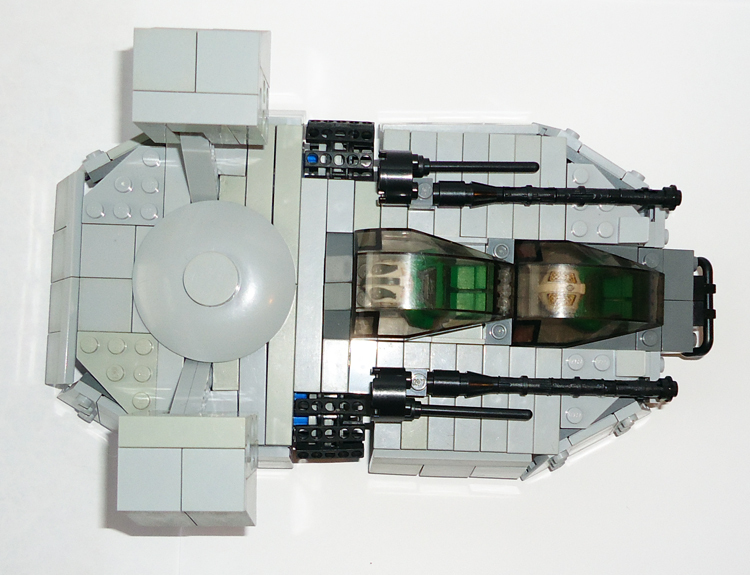 The missile turrets are instantly recognizable and are an effective use of Technic bricks. Overall, I would say there is a strong resemblance to the source material as far as shaping goes. - One major point would be coloring. 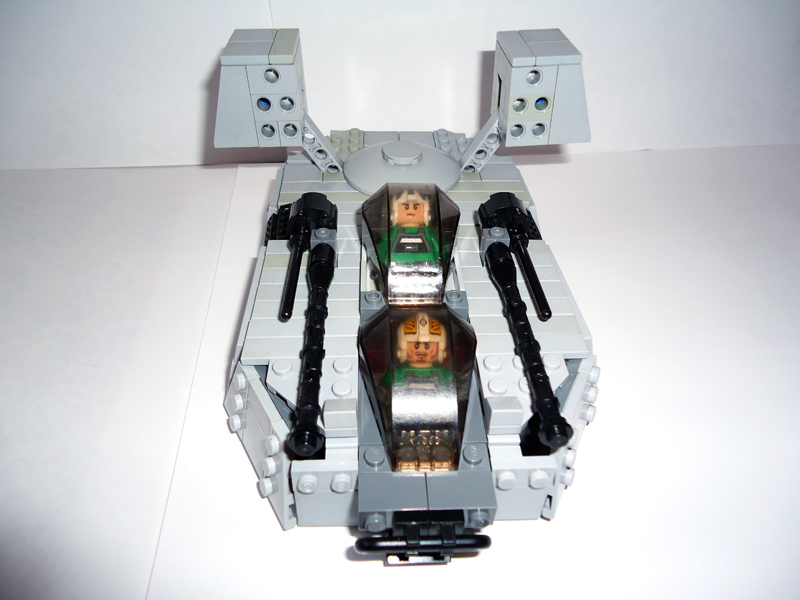 I recall that the AAC-1s in Battlefront II had red markings to make it more of an Alliance vehicle; in contrast, there isn't a whole lot of color to this MOC, and while I admit it does look very clean, adding coloring may help give it that weathered look characteristic of most ships in the Star Wars universe. 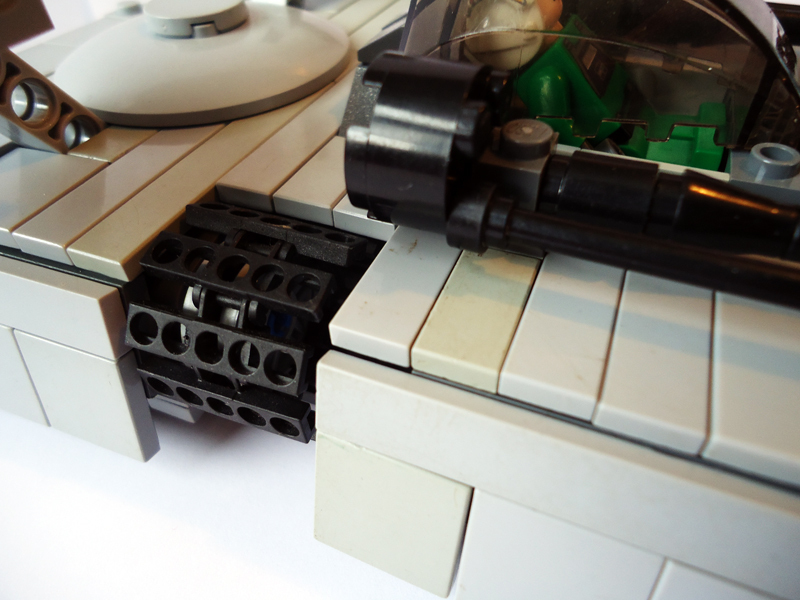 - Adding a few little details, such as the vents near the front of the ship (easily represented with some 1x2 grilles), would also enhance the overall look of this MOC. - Lastly, a small point - the blue Technic pins at the sides of the ship kind of stick out too much - you may want to consider rebuiding that portion and see if you can achieve a more complete look. Thanks Fallen! Since I made this quite a while ago I actually have made all those changes but have not posted it anywhere yet. 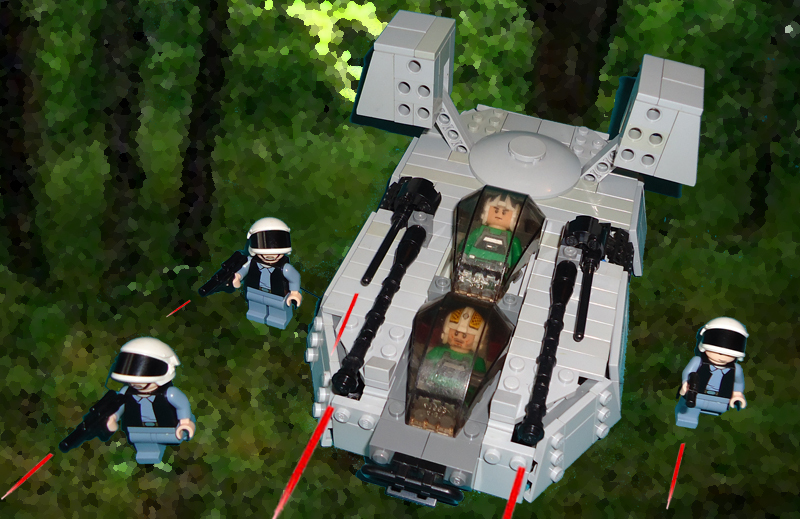 Having just found this site I am having a look at the Mocs here. I love Battlefront II, and I never played as the Alliance, however I saw this vehacle up close in the scope of my Shocktroopers gun sight. I also agree with Mr Fallenangel in that the colour is wrong. Why not post your updated version here? Triangle Man wrote: Having just found this site I am having a look at the Mocs here. I love Battlefront II, and I never played as the Alliance, however I saw this vehacle up close in the scope of my Shocktroopers gun sight. I also agree with Mr Fallenangel in that the colour is wrong. Why not post your updated version here? At the moment I don't have time to make a full new topic but here's a Flickr link. Very nice. I prefer this to the first version. The front is better and the Pilots can sit upright now as is the missile turret.